Oh, what to make of ITV1’s new six-part crime drama, Identity? It’s got the gloss, the piped-in atmosphere, the glass offices, the inner conflict, and a stellar assembly of attractive professionals who get the job done. But what’s it for? According to the press release, its premise concerns “murderers who literally take other people’s lives… impostors who look, talk and sound just like us but would kill you in a heartbeat”. It sounds promising, one of the reasons I tuned in. 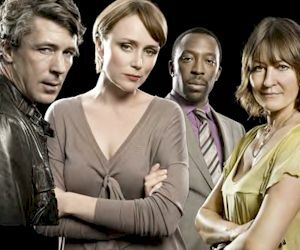 The other reason was the impressive cast: Keeley Hawes, no stranger to crime dramas, having starred in BBC1’s Ashes To Ashes and Spooks; Holly Aird, previously forensic pathologist Dr Frankie Wharton in the BBC1’s cold case series Waking The Dead; and Shaun Parkes, excellent in title role of last year’s BBC2 drama, Moses Jones (alongside new Doctor Who Matt Smith). Spot the running theme? With a cast made up largely of actors who made their names and reputations on the national broadcaster, ITV must have thought they were on to a surrogate ratings winner. But this is also one of Identity‘s problems – it has little identity of its own. Watching the first two episodes, it’s crystal clear what BBC series this wants to emulate – and it’s no surprise when you know it’s written by Waking The Dead alumni Ed Whitmore (who also created Identity) and Edward Bennett, and is directed by Brendan Maher, formerly of Spooks. Identity tries to blend the former’s bleak, forensic dissection of crimes and criminals with the glossy, edgy action of the latter. Unfortunately, the specialist identity unit is rather ill-conceived. Yes, identity crime is a terribly modern issue but it’s hard to believe, given the two storylines we’ve seen so far, that a dedicated team is required to fight it. The first episode concerned a deranged bean-counter using an assumed identity to revenge some childhood trauma; an intriguing enough opener. This week’s, however, was bog-standard; a sick young woman stabs, then becomes, a spoilt rich kid, before running amok with other people’s money in Sloane Square and then in some grim, red-bricked place signposted ‘The North’. It was no more complicated than an average episode of The Bill and no more required a crack unit of specialists than a few polite inquiries from PC Reg Hollis followed by a bit of DI Burnside hard stuff. No twists, very little drama, and, crucially, nothing for most of the team to actually do. For most of the episode, Keeley Hawes’s DSI Martha Lawrence looked lost – a character waiting for something, anything to do some acting around. Bloom is meant to be an enigma, you see. He’s Irish for one thing, so, the theory goes, he automatically can’t be trusted. And he worked undercover for years, so he doubly can’t be trusted. And (but his colleagues don’t know this) he’s still in touch with some villainous Turks who call him “Brendan” – oh, and there’s also a dusky woman involved, with whom he has a snog of an evening. How terribly exci… I’m sorry, I just can’t get past Bloom’s hair. 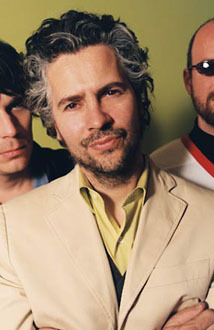 It’s an over elaborate coiffure job, somewhere between Wayne Coyne and Jason King, which not only precedes anything he might actually say, it distracts you from any unfolding drama that may (eventually) come along. Like the programme itself, it’s a triumph of overblown style over substance. That said, I will watch episode 3, which, judging by the press blurb, already sounds promising. This entry was posted on July 16, 2010 at 11:22 am and is filed under New Stuff, TV. You can follow any responses to this entry through the RSS 2.0 feed. You can leave a response, or trackback from your own site.